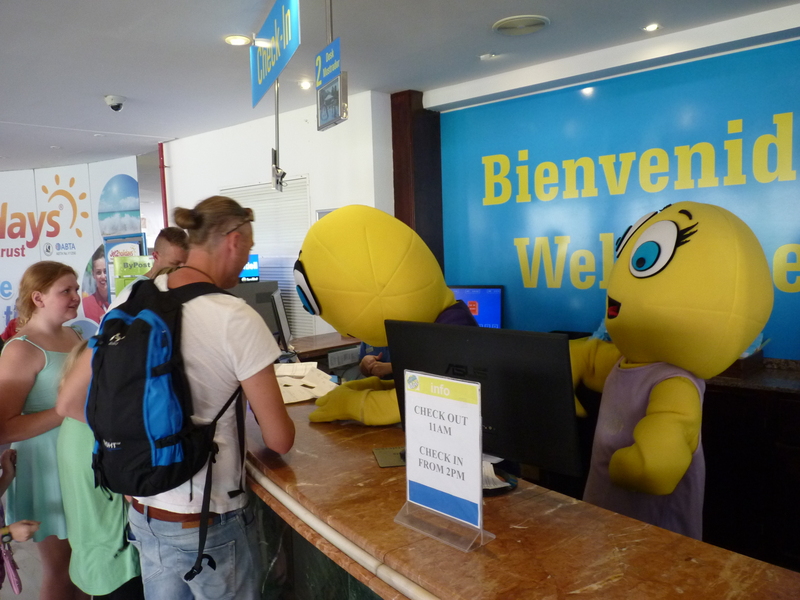 We know that holidays are all about fun, and we work hard at Club MAC Alcudia to make this a reality. But it’s always worth knowing where to find practical help while staying with us. Knowing that there are lots of ways we can make your stay comfortable and safe will help make it a holiday to remember. You can always check our website and app for details on the following, but here’s a brief guide to practicalities at Club MAC – so you can get back to the fun as soon as possible! All of our prices are in Euros. If you want to exchange pounds then you can pop along to reception and we’ll be happy to help. You can also rent a car to explore Mallorca or book one of our pre-organised excursions. If you’d rather hop on our beach transfer bus, there’s a timetable right outside at the bus stop. At reception, you can also hire various practicalities that will help you have a great holiday without having to bring everything with you. At Club MAC, we work with a local provider to offer everything from kettles, microwaves and fridges to scooters and wheelchairs. There are separate charges for each, just ask the reception team for details. You will have to leave a deposit for the length of your stay. These days, everyone wants decent internet connection while they’re on holiday. Perfect for watching films, streaming games and keeping everyone entertained, there are various ways you can get online at Club MAC Alcudia. Free WiFi is available in the hallway downstairs in all three of our accommodation buildings. At reception, we also have easy access to PCs with internet connection. For a small charge, you can use these to go online and print your boarding pass. You also have the option of high speed WiFi in your room at a reasonable cost (per each device). This is for standard rooms, as Premium rooms and Family suites come equipped with high speed WiFi. Every evening we have a small selection of market stalls set up next to the lake. Local traders sell their crafts, toys and produce, and there are portrait painters to create that perfect souvenir. For day time shopping, you can always pop along to our on-site shop, which is well equipped with everything from snacks, drinks and sweets to clothes, sunglasses and souvenirs. Next to the Marte building, you’ll find a large pool, partly shaded by the building at certain hours of the day. It has a separate area with shallow water for children. Alongside, there’s our river pool for extra fun in the water. The largest pool on site is the Saturno, with a smaller one next door for the children. At the end of the Jupiter building, you’ll find three pools for adults and children, with plenty of shade for the hottest summer days. Finally, our dragon pool is a splash pool with very low water levels, so it’s ideal for the children. It is surrounded by sunbeds and the whole area is a no-smoking area. In the afternoons, we have a hairdresser available for a bit of pampering during your stay. If you’re after more specific beauty treatments then you can find them in the relaxation area next to the lake. It’s an adults-only space where you can enjoy a massage, facial or just some peaceful sunbathing time.